Yes, the most powerful smartphone is here. To buy this you need to spend $9,900, and this top-end specification phone can be yours. 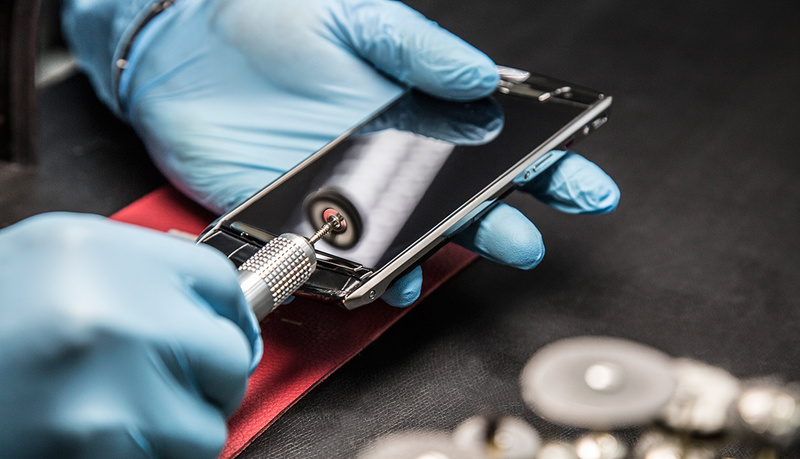 Vertu, a premier smartphone company, has updated its luxury flagship device line, the Signature Touch with almost all the best features and specifications available on the market right now. This phone is made of Titanium, and it runs on Android 5.1 that comes with an octa-core Snapdragon 810 chipset. It has 4GB RAM plus 64GB internal storage that can be expandable to 2TB. Don’t know why big companies like Samsung, OnePlus & Xiaomi cannot expand the microSD capabilities in their phones. 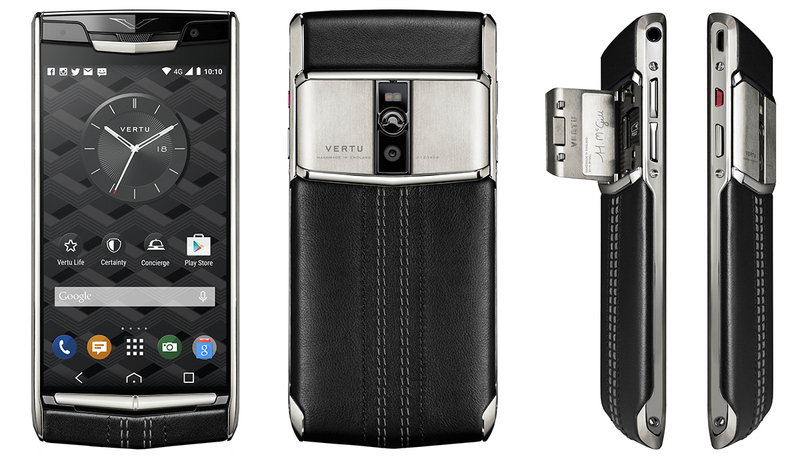 Vertu’s phone is 5.2 inch, 1080p LCD, which is said to be the scratch-proof sapphire screen. The Battery is about 3,160 mAh that can be charged quickly with Quick Charge 2.0. It supports 300Mbps downlink and has features like NFC, Qi wireless charging, aptX Bluetooth audio, ruby key, cool ceramic ear pillow and front-facing stereo speakers. The camera at the back of the phone is 21-megapixel with f/2.2 aperture. LED flash has dual-tone and device support 4K video recording. Also, the phase detection auto-focus comes in handy with this specs. Front cam is the only thing that disappointed me with this phone; that is only the 2.1-megapixel resolution. The design of this phone is gorgeous, and you have a dramatic flip open round latch on the back of the phone that open the doors for the microSD and Nano SIM slot. The laser etching is seen under the right flap, and you have a space dedicated for your personal engraving too. 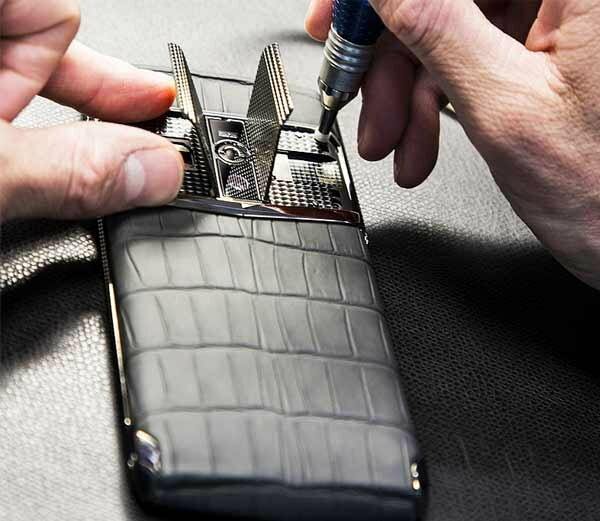 Plus you get a personal or Vertu’s “Dedicated Concierge” for any issue you face for the 18-month period. More features like encrypted communication and global WiFi access by iPass is also included. This marvel of excellence will be available globally in mid of October at a price range of $9,900 to $20,900. The price will depend on many factors like color combination, materials like Garnet Calf, Pure Jet Lizard, Pure Navy Alligator, Pure Jet Red Gold, Jet Calf, Grape Lizard, Jet Alligator and Clous de Paris Alligator. Isn’t it the most powerful phone ever?